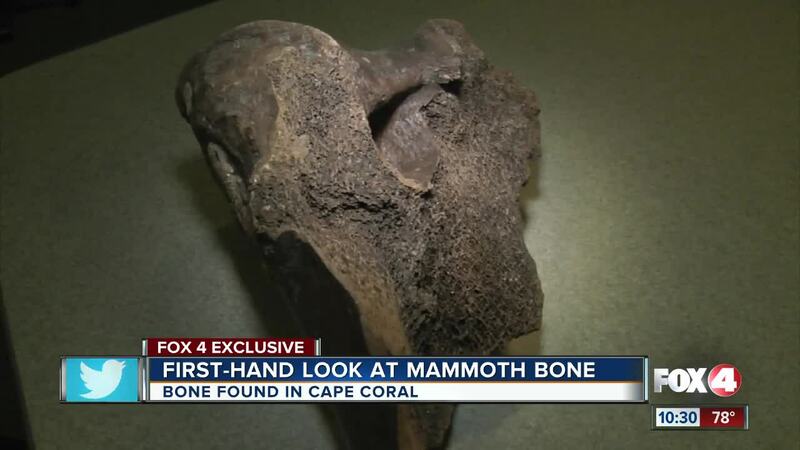 CAPE CORAL, Fla., - A local utilities crew discovered a fossil archeologists now believe may be of a woolly mammoth or mastodon. The crew was digging in a trench 17 feet below the ground off of SW 19th avenue in Cape Coral last month. He estimates the fossil dates back to between 12,500 years ago to as old as 250,000 years ago based on similar discoveries.